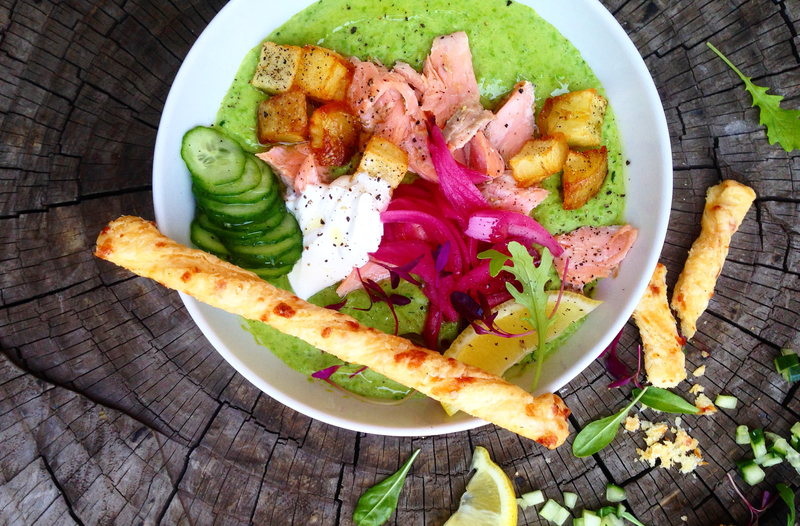 Yuluishii’s creamy pea & smoked trout chowder with crispy potatoes. 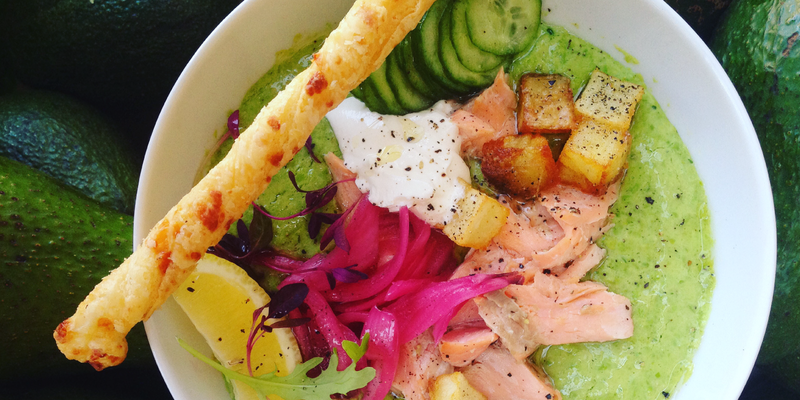 Yuluishii’s creamy pea & smoked trout chowder with crispy potatoes. Once you’ve made this pea chowder once, you will make you want to make it more than once in a while. This simple soup by Yuluisii is quick to prepare and the added smoked trout turns up the flavour. It’s a really healthy, satisfying main course – and we think you’ll want to make you want to make it more than once in a while. Khanya Mzongwana (aka Yuluishii) is the creative genius behind ‘Off The Wall Pop Up Restaurant’ in Hatfield, Pretoria. If you live in Gauteng, a pop-in is a must. Heat a heavy bottomed pot and add half the olive oil. Lightly sauté the leeks for a few minutes and then add the garlic. Add the thyme and allow it to infuse the leeks. Add the peas and top with stock and cream. Simmer for a few minutes and then transfer the soup to a blender jug. Blend the soup until smooth and then push through a sieve to smooth out the texture. In a pan, heat the rest of the oil and add the cubed potatoes. To serve, pour the hot soup into bowls and divide the trout, potatoes and sour cream between six bowls. Optional: serve with flaky bread sticks.